When you’re a young person just starting out, retirement seems very far away, but other goals loom much closer. You’re probably more concerned about saving for a down payment on a home, buying a nice car for a change, or getting married and starting a family. All of those are worthwhile goals, but investing shouldn’t take a back seat to them. There are many benefits to starting early when it comes to investing. Perhaps the biggest one is that the extra 10 years or so of returns will leave you with a far bigger nest egg in the end. While it might be tempting to spend your extra cash on nights out and new shoes, you don’t want to wake up some day 20 years from now with little or no retirement savings. Discipline yourself to start putting money away from the very first paycheck, so you can put yourself ahead of the game. Your future self will thank you later, when it’s time to retire, or even when you’re going through a financial rough patch and looking for a new job, for example. According to finance guru and Vanguard founder Jack Bogle, establishing a savings routine is the best thing you can do as a young professional, both for your financial future and your career success. Bogle recommends a “pay yourself first” approach to investing that involves contributing a fixed amount to your investment accounts each month, preferably by setting up an auto-payment. A great way to do this is by contributing the maximum amount to your company’s 401(k) program, especially if your company matches contributions. Bogle advises young investors to ignore statements; you can worry about your returns when you’re approaching retirement. 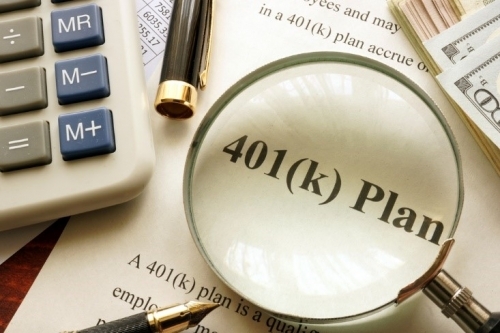 401(k): A 401(k) is an employer-sponsored investment plan that allows employees to save for retirement. Savings are tax-deferred until you take the money out. You should invest as much as you can in this account, at least enough to earn the full matching contribution from your company, if your company matches contributions. When you invest in a 401(k), you can adjust your risk level depending on your age and comfort level. IRA: An individual retirement account, or IRA, is another form of retirement savings account with a low risk profile. There are two kinds of IRAs. Traditional IRAs allow you pay with pre-tax dollars, so you can take a deduction now and pay tax on the money later. Roth IRAs allow you to pay tax on the money now and enjoy tax-free income in retirement. Like 401(k)s, IRAs allow investors to adjust their risk level as they see fit. Mutual Funds: If you want to enjoy the high returns of the stock market while mitigating your risk, mutual funds might be for you. Mutual funds allow investors to buy shares in a diversified portfolio for a relatively low price, and fund managers take steps to maximize profits and minimize risks. Growth funds offer higher returns for younger investors, but with greater risks, while other funds carry lower risk profiles. Certificates of Deposit: Certificates of Deposit, or CDs, are bank savings products that provide the ultimate in low-risk investing. CDs allow you to invest a specific amount of money for a specified period, earning a fixed rate of interest. Interest rates on CDs are low, but usually higher than those on traditional savings accounts, and the money is just as safe as it would be in a savings account. As a young professional, it’s never too soon to start investing. The sooner you get into the habit of putting aside money, the faster you’ll develop good financial habits — and the better off you’ll be when it’s time to retire.